Dr. Peter Seguinot uses a "whole person approach" when taking care of his patients. By combining the very best hands-on-techniques, state of the art physiotherapy procedures, and the newest and best natural vitamins and mineral supplements on the market today, Dr. Seguinot is able to help you accelerate your journey to good health. Doctor of Chiropractic, Life West Chiropractic College, Hayward, California. B.A. Criminology/Sociology, Capital University, Columbus, Ohio. Dr. Shinichi Kino became interested in chiropractic at the age of 26 when he injured his low back from rafting. He just happened to find a chiropractic office nearby and received a very first adjustment, just for pure curiosity. Not only his low back pain resolved, increased vitality, better visual sight, and the deepest and longest sleep ever in his life, but also he was inspired by the chiropractic approach towards health. Ever since the first adjustment, he became more interested in chiropractic and the rest is history. Dr. Kino completed his formal chiropractic training at Palmer College of Chiropractic West in San Jose, California. After graduation, Dr. Kino worked for multiple private practices for his post-graduate training, serving care to professional athletes, doctors, nurses, martial artists, engineers, teachers, the auto injury, the post-surgery, children, elderly, pregnant women, etc. 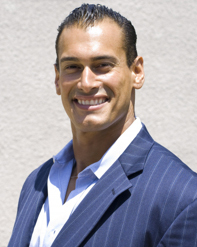 Dr. Kino started his private practice, Keynote Chiropractic in San Diego, California in the spring of 2010.